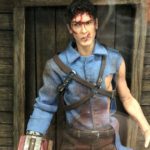 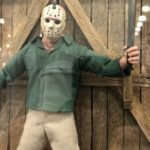 The clear winner of Best in Show for Toy Fair 2018 is Mezco. 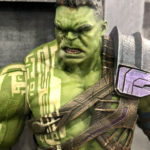 Their One:12 series of Marvel figures is entering its third year, and Mezco unveiled some truly awesome and surprising upcoming releases! 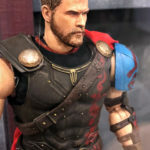 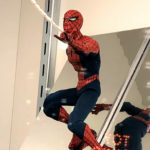 On display at the Javitz center were some figures we’d seen before at San Diego Comic-Con, such as the Gladiator Hulk and Thor from Thor: Ragnarok, and the Spider-Man in his homemade suite from Homecoming. 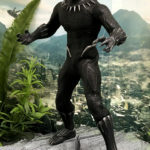 New additions to the line however include Black Panther with his movie-style outfit. 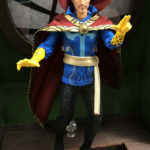 The silver accents and the detail in the black outfit really make this six-inch figure stand out! 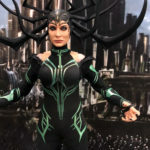 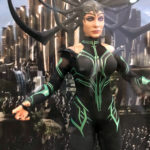 Also new in the Marvel Cinematic Universe was revealed Hela–Mezco’s first female Marvel One:12 figure! 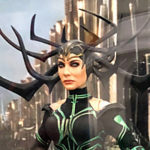 She comes with her large headdress and a Cate Blanchett likeness that is downright perfect. 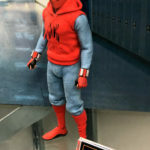 My only hope for this figure would be an alternate head (or variant released) without the helmet. 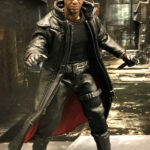 Similarly, in the Marvel Television Universe, three figures were shown. 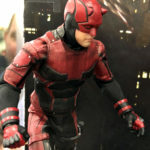 Daredevil is coming in both his Season One black outfit and his season two red. 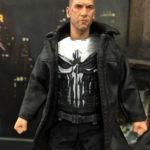 And also from Daredevil Season Two (and his own series) comes The Punisher. 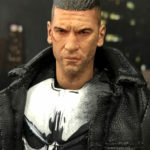 He is wearing an armored chestplate, and has an amazing beat-up Jon Bernthal likeness. 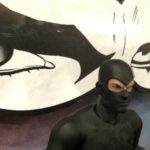 For comic-based Marvel fans, though, there was some real excitement! 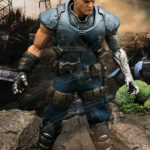 Revealed at the show were two new mutant figures, Cyclops and his son from the future, Cable! 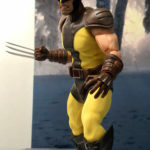 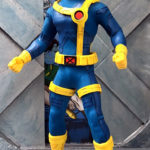 Cyclops is in his classic yellow-and-blue outfit, and the soft goods fit the figure perfectly. 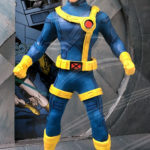 The shade of blue is spot-on with the ’90s version of the character. 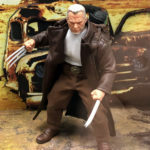 Cable is on a much larger buck than usual, and has more solid plastic than soft goods from what I could see. 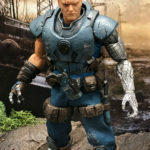 The robotic arm has incredible sculpting detail, and he is a good size to stand among your other One:12 figures without dwarfing them! 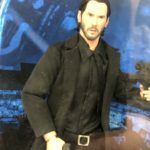 Two surprising reveals included John Wick–with an uncanny Keanu Reeves likeness. 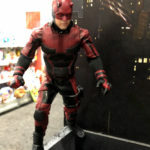 With the third film, and a TV series, in production there seem to be several companies looking to light the fuse on this new action star. 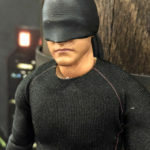 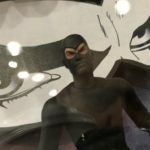 Plus–in the single most incredible valut-pull I saw at Toy Fair, they are making a One:12 figure of Diabolik from the 1968 film Danger: Diabolik! 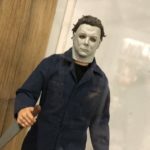 This is a movie championed in Now Playing’s book Underrated Movies we Recommend and to see the John Phillip Law character realized in six inches was nothing short of astonishing. 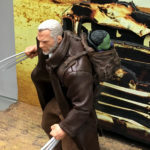 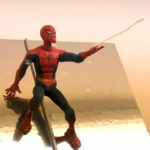 Check out our video and photo coverage of Mezco below, and be sure to follow Marvelicious Toys for updates and reviews as these products start to ship! 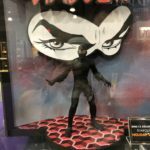 Mezco’s SDCC 2016 exclusives are up for pre-order now! 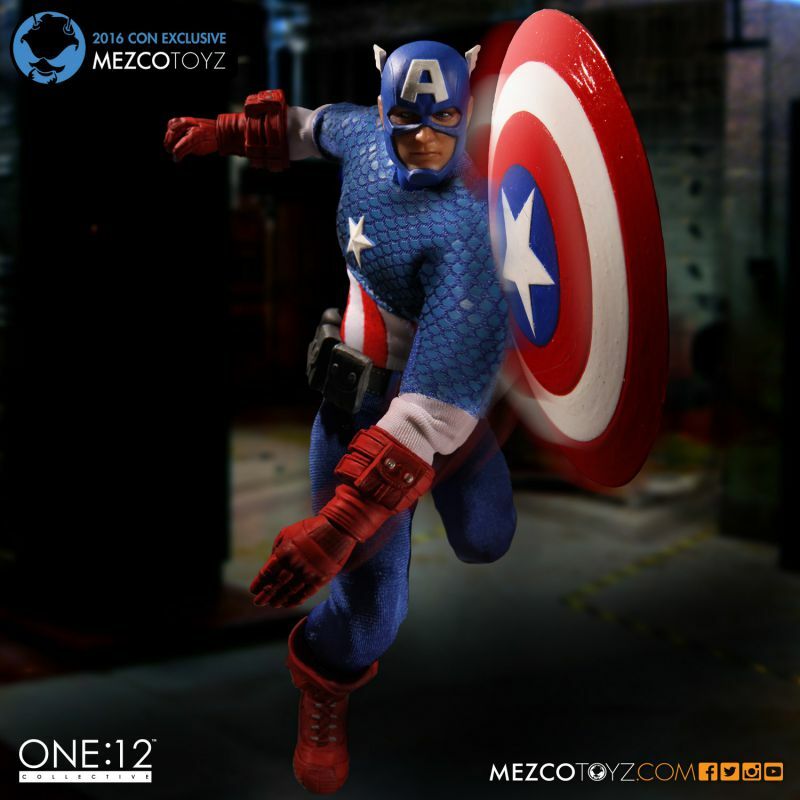 In addition to a Dawn of Justice Armored Batman and a plush Thundercats Snarf, they have their Classic Captain America One:12 Collective 6-inch figure. 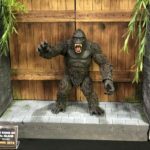 If you’re not going to SDCC this year, or if you just want to guarantee yours, you can order it now! 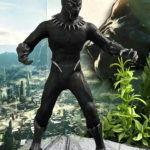 Featuring over 32 articulation points, intricate sculptural work, incredible costume detailing and tons of accessories, the final product creates an iconic classic vision with a “real world” look. 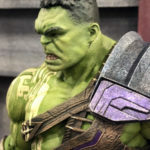 This exclusive, limited-edition not only features a new classic head sculpt and vibrantly colored uniform, but is packaged in an exclusive shield-shaped metal tin featuring a lenticular transformation chamber. 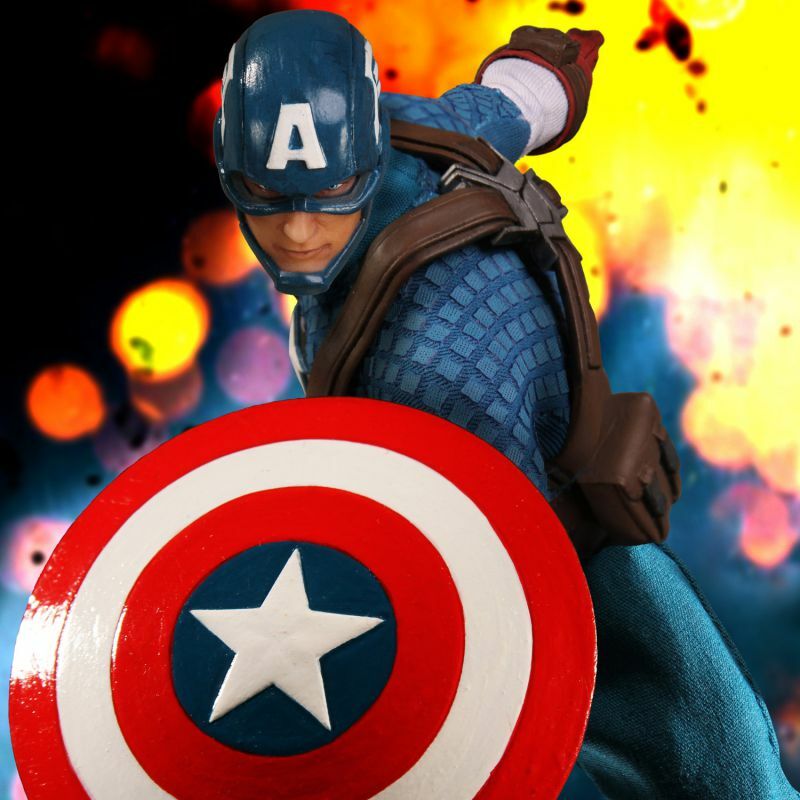 Packaged in a deluxe, limited edition circular tin featuring Captain America’s shield design. 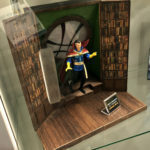 When the tin is opened, a lenticular image is revealed. 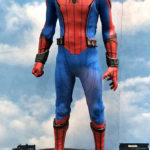 The lenticular dramatically shows the transformation of Steve Rogers from a scrawny weakling into a chiseled super-soldier. 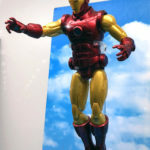 Beneath the lenticular, the figure and his accessories are securely held by collector friendly trays. 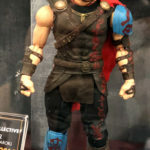 This Convention Exclusive will only be available on the Mezco website or at San Diego Comic Con at Mezco’s booth #3445. 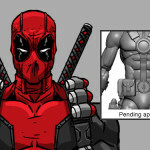 There was no contest. 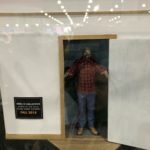 Marvelicious Toys’ winner of “Best in Show” for the 2016 Toy Fair International was Mezco and their One:12 line of highly articulated 1/12th scale action figures. 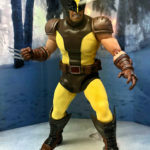 This new figure line has these classic Marvel characters in their comic book incarnations. 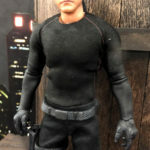 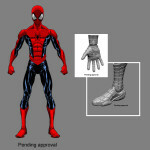 But with what Mezco calls “Hyper-realistic portraits”, 32-points of articulation, fabric uniforms with special silk screening applications, and sculpted accessories like belt, gloves, harness, and boots, this is a 6-inch figure like no other. 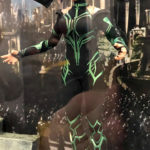 We know this line will expand fast. 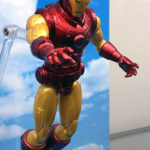 Three different versions of Captain America were displayed at Toy Fair, and this is the first opened for order. 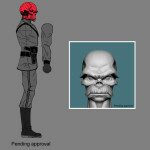 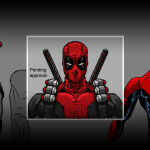 Plus just earlier today Mezco revealed their plans for Spider-Man, Deadpool, and Red Skull figures in this line! 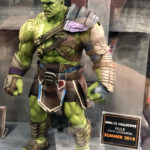 Previous Mezco One:12 releases, like their Spock and Batman, have pre-sold out and already command top dollar on the secondary market. 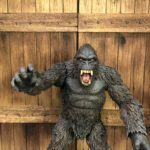 So if you want to jump into this new line, you can order direct from Mezco today!